Helston Floral Dance, Helston Cornwall. England 1976. 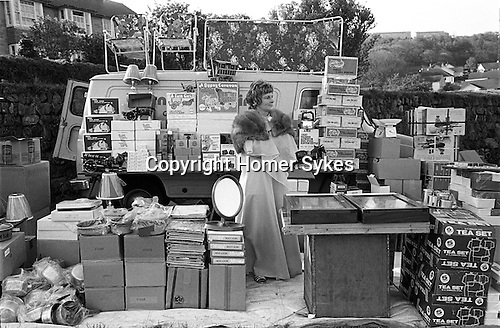 A market stall holder in evening dress waiting to take part in the climax of the morning’s dancing. The principle dance of the day, known as the mid-day dance where traditionally the gentry of the town, one hundred and fifty couples, the men in top hats and the women in evening dress, dance, in and out of private houses and shops and through the town.